This week for the necklace of the week, I chose a cute, somewhat simple, bib necklace. I purchased this one because it looks beautiful and classy for an incredible price. I love the way the black, cream and gold look together. It is super light-weight and lies beautifully. Certainly adds a little class to whatever top you have on! Here is a link to the exact necklace via Amazon. Oh, and did I mention it is only $4.17 with free shipping?? 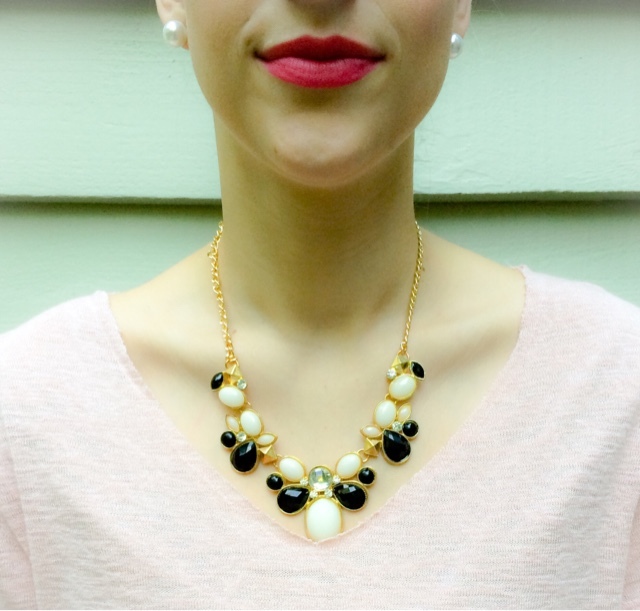 Yep, doesn't get much better than that for a statement necklace. Grab it quick before they are out. This necklace is also coming straight from China, but it has held up really well for me and doesn't look as cheap as it costs! !